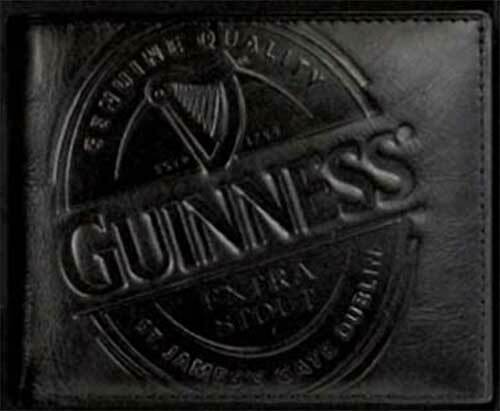 This Guinness wallet features the extra stout label along with the harp design. The black bi-fold leather wallet is enhanced with the harp on the inside liner along with a coin pouch. The Guinness wallet measures 4 1/2" x 3 1/2" when closed and it is gift boxed, complements of The Irish Gift House. Guinness messenger bag features an embroidered pint that is enhanced with a shamrock. Alarm clock features the Guinness label along with a classic twin bell style.